After the death of their daughter, the Hughes family escapes to their remote cottage to pull themselves together. But their hopes for quality time alone are dashed when dinner with the neighbours turns into a fight for survival after they’re taken hostage in their own home. 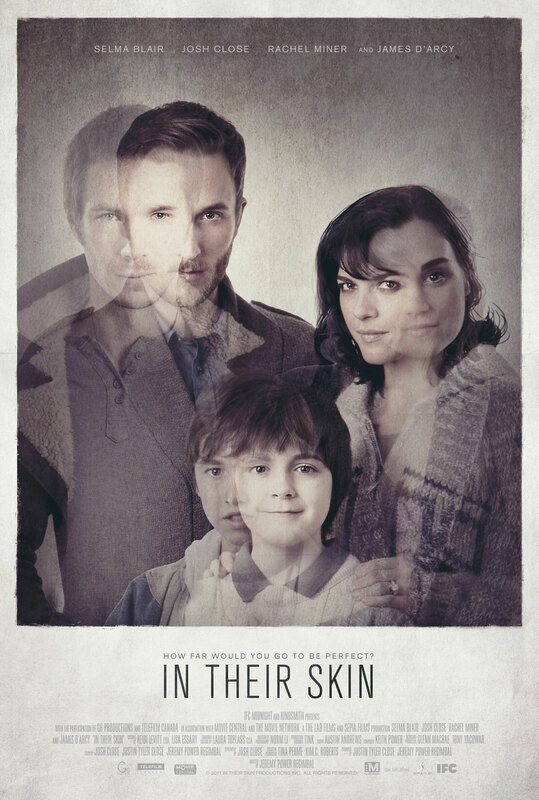 Starring Selma Blair (Hellboy II) and James D’Arcy (Cloud Atlas). A co-production between Vancouver’s Sepia Films and The Lab Films, In Their Skin premiered at the 2012 Tribeca Film Festival and was released theatrically in November 2012 by IFC Films.